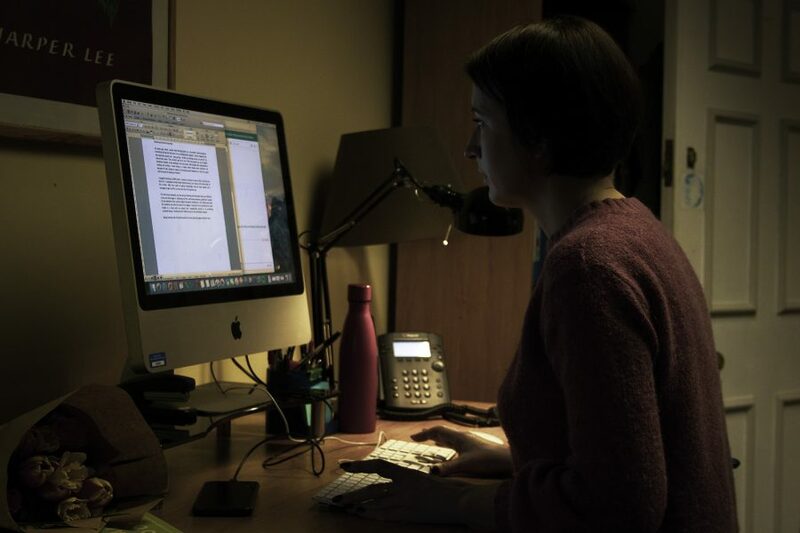 In January 2019 Laura McKenzie completed a 10 month paid Festivals and Events internship at New Writing North, she reflects on her experience here. Being involved with Durham Book Festival from the planning stage to delivery was unlike any project I’d ever worked on before. I’d run club nights and organised academic conferences, but this was a huge operation with countless moving parts and successive deadlines, without – once things really got into gear – many pauses for breath. It was completely thrilling. I loved all of it: liaising with publicists, haggling with taxi companies, writing copy for the festival brochure, securing screening licenses from the BFI… every day I was learning something new, or solving an unexpected problem, and the driving force behind it all was a belief that is enshrined in NWN’s ethos and upheld by everyone who works there: that great literature is a force for public good. I came straight to New Writing North from completing an English Literature PhD, where this is taken as a given and public engagement is an increasing priority. Those opportunities, however, are few and far between, so it was a revelation to be working in a space where the entire purpose was to connect people with literature – and not to demonstrate our academic rigour, but because we wanted to make their lives better. The highlight of the internship has to have been project managing the community outreach strand of the Big Read, organising workshops with deprived and/or marginalised community groups as diverse as a service users with learning disabilities and residents at a homeless veterans’ shelter. It was a privilege to be part of this sort of project and see first hand how effective shared reading and creative writing can be at bringing people together, improving confidence and increasing a sense of well being. Encountering new stories often drives us to share our own, and it was heartening to see how many people who arrived at these sessions with a sense of closed off-ness left with a completely different attitude – they were animated and enthused because they had been given a space to connect. It felt like we were making a tangible difference to their lives, which is pretty incredible really. The internship has been instrumental in developing skills that I can use throughout my career, and has opened up opportunities I would never have encountered if I hadn’t been part of New Writing North. My next post is an AHRC Creative Economy Engagement Fellowship with Durham University, during which I’ll continue to work with NWN to develop public art and engagement projects around the literary history of Durham; I’ll still be involved with Durham Book Festival, just this time I’ll be on the content side of things. Overall, I just feel incredibly lucky. The internship has given me an understanding of how books can and do serve the public, how the industry of literature operates, and how subsidised arts organisations like NWN work at the intersection of the two to innovate how we engage with and consume culture. It has been an exciting, challenging, and incredibly fun opportunity to do a host of different things that (at their heart) were centered on something I love: reading. What could be better?